You are here: Home / Blog / Word to Go! I was at church the other Sunday. Hungry. Thirsty. Dying for a little living water and bread of life, when the pastor did something life changing. He told us the people sitting next to us needed a little encouragement from the Word of God. Open your Bible, find a verse, and turn and share it with your neighbors. Can you believe it? The nerve of him. My pastor expected the church to turn and feed each other. Scripture ringing off the walls, filling the church to the rafters as it filled the souls of the people. Word upon word, precept upon precept. Life changing words from one thirsty soul to another. People filled to full of the life-giving Word. I talked about it for days. Jane and I are taking Only By Prayer “on the road” to Instagram (find us at @onlybyprayer). 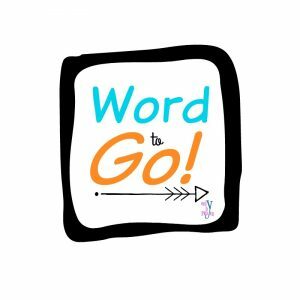 Inspired by my sharing experience at Harvest Bible Chapel, in Granger IN, Word to Go is a simple one week daily post based on a theme. Followers are invited to post a Bible verse based on our theme for the day. Go to your Instagram account (or create an Instagram account at Instagram.) See photo from our feed on the right. Watch for the daily post styled after the meme connected with this post. 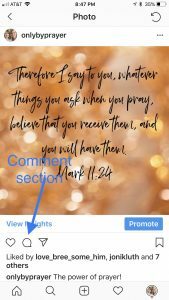 Add your Bible verse based on the theme of the day in the comment section. Read and pray through verses posted by other people. Feel free to add encouraging comments to others. Repeat each day for one week! Jane and I pray you will join us for Word to Go starting Monday, August 13 on Instagram! Come and follow us as we follow God. Questions or Comments? Please leave a message in the chat section below! Filed Under: Blog Tagged With: Instagram and prayer, praying God's word, word and prayer, Word to Go!